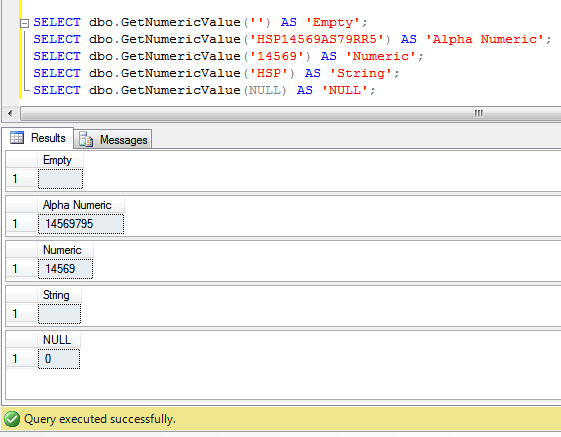 Today I am going to Explain how you can split/separate numbers and alphabets from an alphanumeric string in SQL server. When you work with any database related application either that is in web or windows application sometime based on your requirement you have alphanumeric string and you just want only numbers from that string and want to use that numbers in your entire application as per your need like either use like as a variable, parameter or also use like as a string concatenation. Today, I am going to explain how you can split/separate numbers and alphabets from an alphanumeric string in SQL server. When you work with any database-related application, either in Web or Windows applications, sometimes based on your requirement you have an alphanumeric string and you only want numbers from that string and want to use those numbers in your entire application as per your need, possibly as a variable, parameter, or a string concatenation.